For learning to be effective, we have to learn from the best. If Mystery is not the best (which he might be), he is one of the founders of this movement, and from his original thoughts, many ideas have evolved. For someone who is new to pickup, this is an essential guide to learning about this social art form. Perhaps a criticism might be in it's simplicity. Mystery was like the Big Bang, (not counting Ross Jeffries) and the Universe has expanded since then, bringing a lot revolutionary thoughts and ideas. 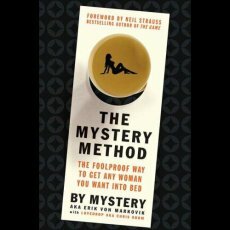 It is a must read due to the simple fact that Mystery is the Bruce Lee of pickup arts. Whatever style you follow and for whatever level you are at, this is essential reading.